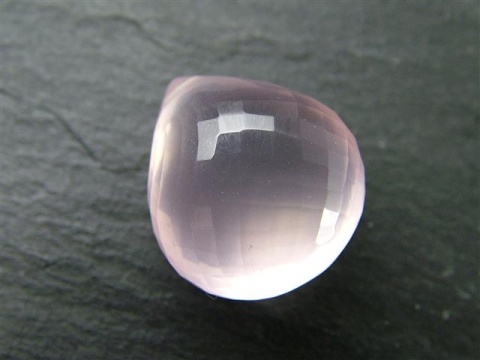 Rose quartz, a crystalline quartz, is thought to get its pink tint from tiny impurities of manganese, titanium or iron. 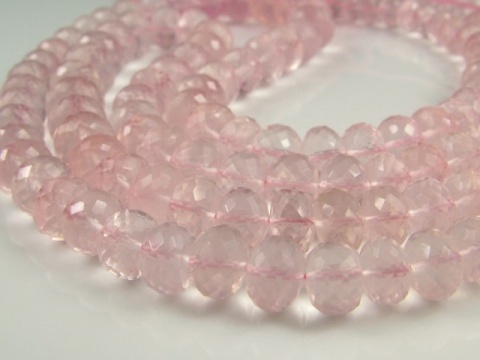 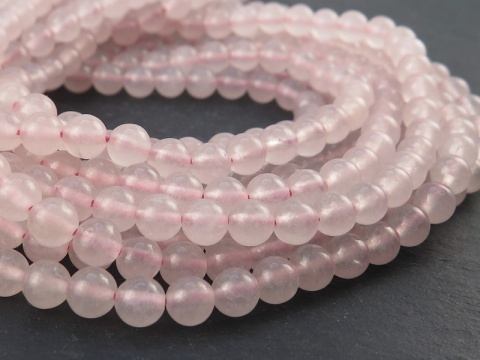 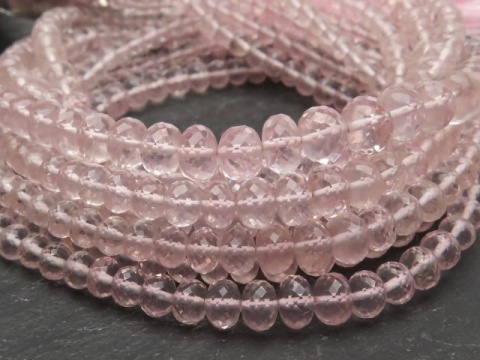 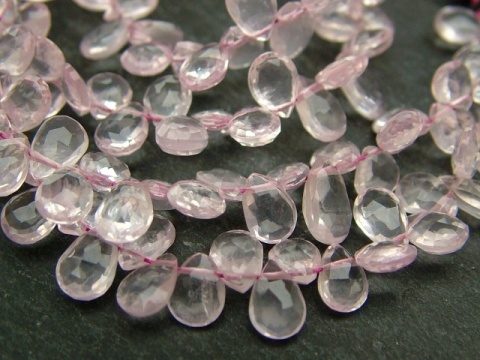 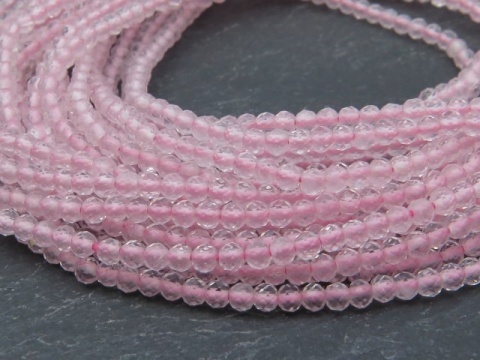 Most rose quartz is cloudy, with the more transparent stones being the most sought after. 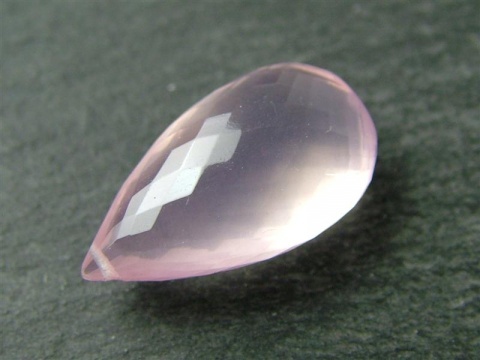 Hardness: 7 (Mohs).